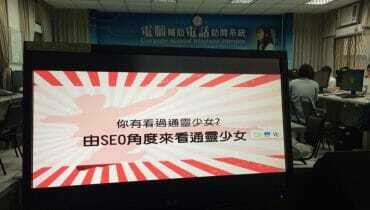 faced by hundreds of thousands of SEOs all across the globe. 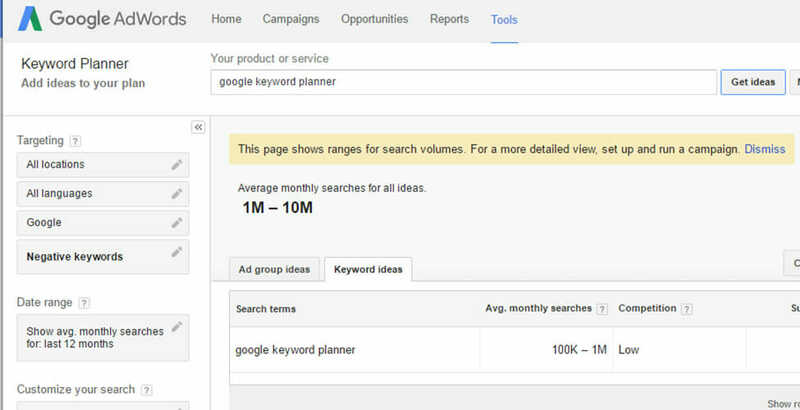 Today, let me show you how to fix Google Keyword Planner Tool problem which is currently faced by hundreds of thousands of SEOs all across the globe. I have seen many SEOs cry foul. 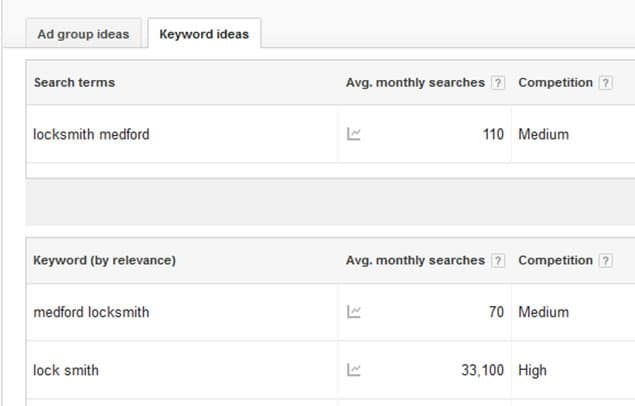 Facebook, twitter and other forums have been flooded with questions asking for ways to fix Google Keyword Planner and other alternative keyword research tools. 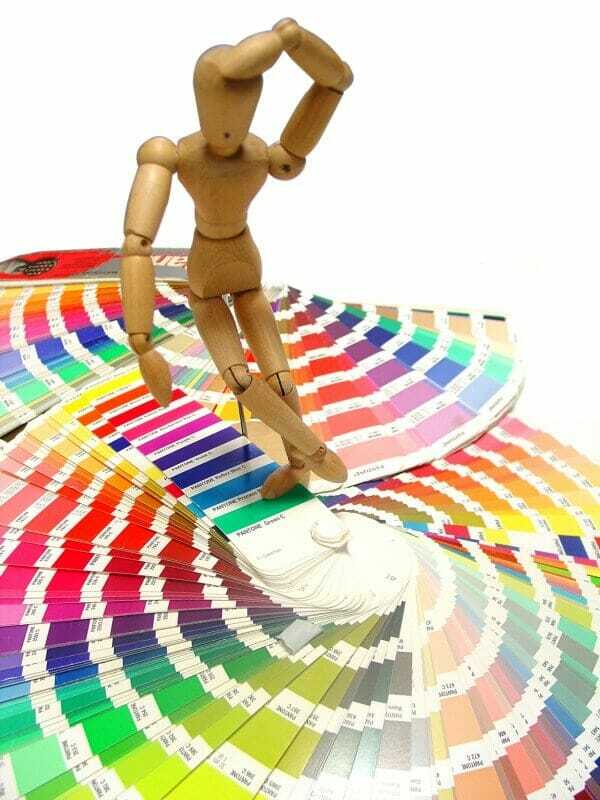 Now, it has become almost completely unusable and it has really made a stir in the online world. 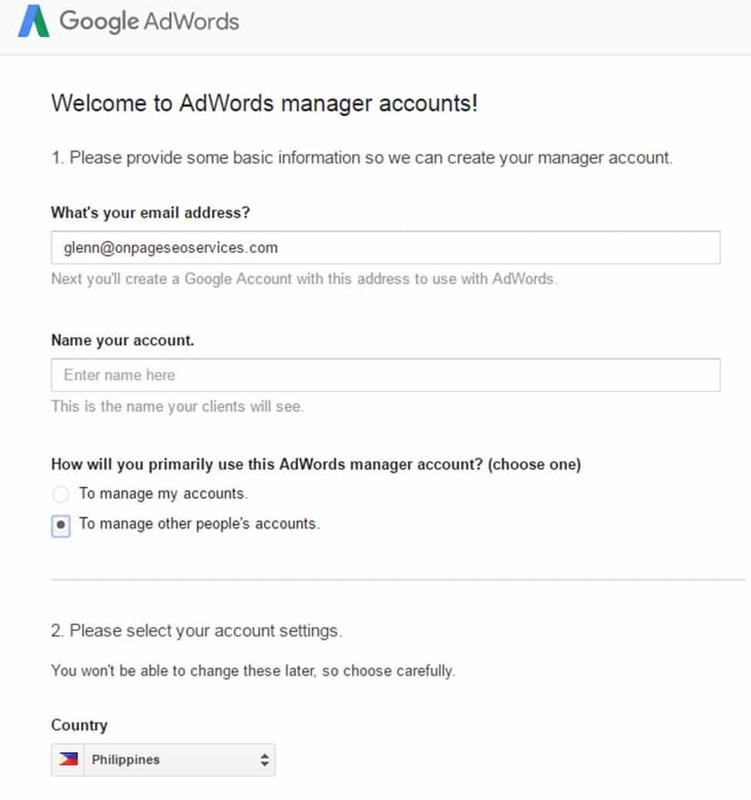 You need to use a different email when creating you AdWords Manager Account. If you have an extra email other than your previously registered email, go use it. 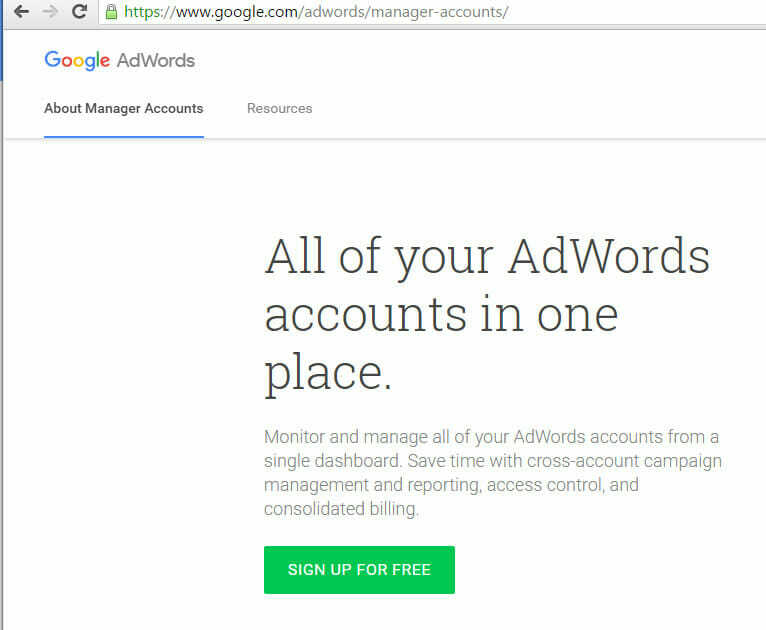 Under “How will you primarily use this AdWords manager account?”, tick “To manage other people’s accounts.” While I am only using my own account, I need to tick manage other people’s accounts so Google will show me correct range here. The idea is, I am working only in behalf of a client and Google needs to show me the correct ranges per month so I will be able to properly manage the account. You need to click on the Big Red Button which sais “ Account”. You will now have a choice on the dropdown consisting of Link existing accounts; New AdWords account; New AdWords Express account; and Upload accounts. Here, you need to click on “Link existing accounts”. You will now be asked of your 10 digit numeric customer ID. You can find it on the top right hand corner of your OLD AdWords account. Once you find it, enter it on the box provided on your NEW Manager Account and click the Blue “Continue” button. Enter the account name (any name) and click on “Request Approval”. You will see a cog wheel on the upper right hand corner of your OLD AdWords account. You will see a drop down consisting of Billing; Account settings; Linked accounts; send feedback; and Help. Click on the account settings. When it loads click on “Account access” on the left hand side of the screen. 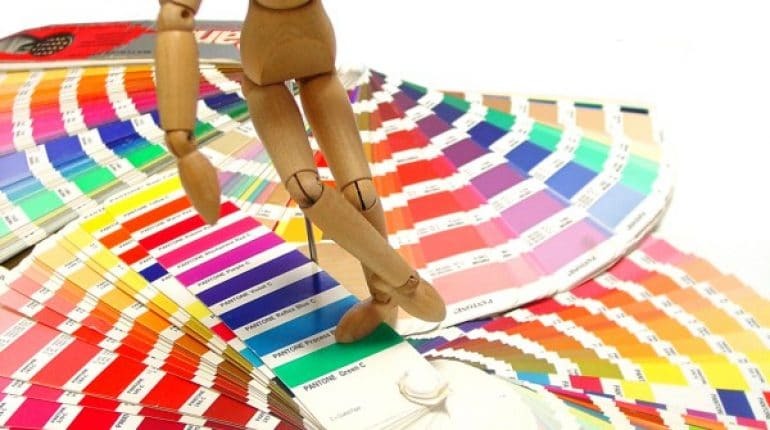 You will see the request on this page and you will then need to click on “Accept Request”. 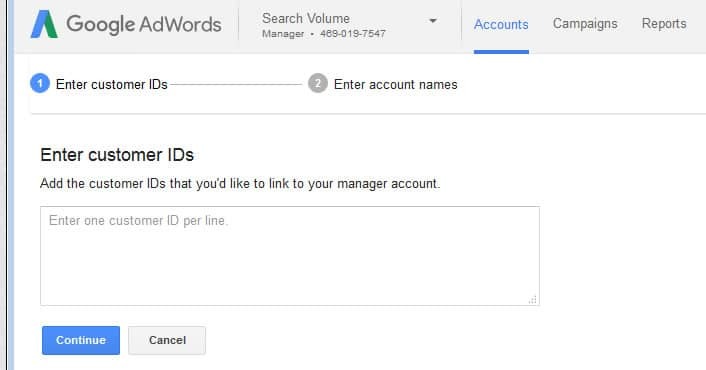 Refresh the page on the browser where you created your new AdWords Manager Account. You can now click on Tools and choose Keyword Planner on the dropdown. ENJOY AND THANK ME BY SHARING AND/OR LINKING THIS LITTLE GEM.